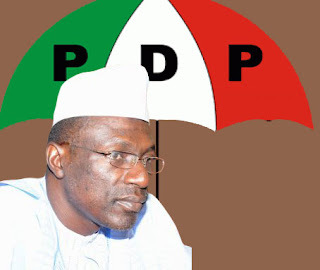 The Independent National Electoral Commission (INEC) has formally given recognition to the Senator Ahmed Makarfi-led national leadership of the Peoples Democratic Party (PDP). The decision by the commission became apparent following its acceptance of Mr. Osagie Ize-Iyamu as the duly elected Edo State governorship candidate of the party, thereby putting paid to the raging controversy over which of the two contending factions led by Makarfi and Senator Ali Modu Sheriff would field a candidate for election. While confirming receipt of the submission of Ize-Iyamu’s name from the Makarfi-led faction yesterday evening via a text message, the Deputy Director, Publicity and Voter Education of the commission, Mr. Nick Dazang, said INEC had received names of 19 governorship candidates from 19 political parties, including the candidate of the PDP, Ize-Iyamu. “As at this evening, we received 19 candidates from 19 political parties for the up coming Edo State governorship election. This includes the candidate of the Makarfi-led faction of the PDP. We received the candidate of the Makarfi-led faction because of the Port Harcourt court judgment plus the fact that we monitored its primary,” he said. The spokesman of the PDP caretaker committee, Dayo Adeyeye, told journalists yesterday that the party had submitted the name of Ize-Iyamu as the PDP candidate to INEC for the Edo State governorship election. Also, the secretary of the committee, Senator Ben Obi, confirmed that the name of the party’s candidate for the state gubernatorial contest, Ize-Iyamu, was submitted yesterday by the Markarfi-led leadership of the party. It was also gathered that INEC, which had been watching the legal wranglings over the leadership of the PDP, took a stance yesterday when it was handed the certified true copies of the various court pronouncements in favour of the Makarfi-led caretaker committee.